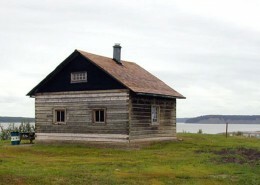 Fort McPherson National Historic Site of Canada is located in a hamlet at the centre of the Peel River / Mackenzie Delta region of the Northwest Territories, just off the Dempster Highway. 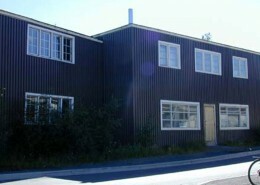 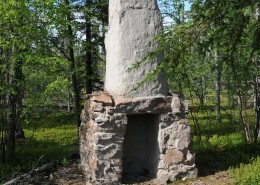 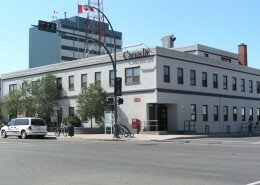 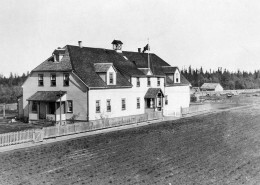 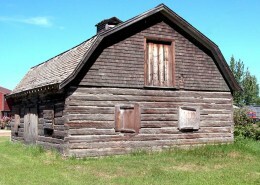 The site consists of the site of the Hudson’s Bay Company trading post as it was in the 19th and early 20th centuries, including an Anglican and a Roman Catholic mission and the post of the Royal North-West Mounted Police. 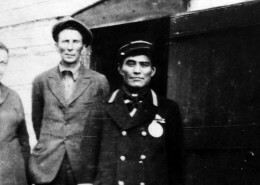 Official recognition refers to the boundaries of the community of Fort McPherson as it was mapped in 1898.
it was the place of the first Royal Northwest Mounted Police post in the Western arctic. 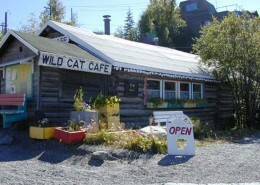 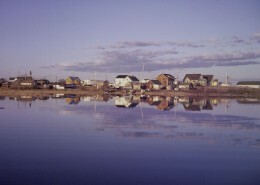 According to oral tradition, the Gwich’in (“people of the head waters”) population has been present on the Mackenzie Delta for over 20,000 years, where they survived by hunting, fishing and trapping. 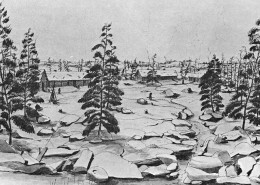 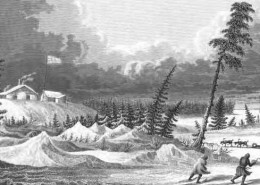 In 1840, the Hudson’s Bay Company established Fort McPherson, the first trading post north of the Arctic Circle, six kilometres upriver from traditional Teetl’it Gwich’in lands, and Chii tsal dik Hill, to trade meat and furs with the Gwich’in and Inuit. 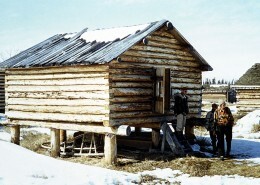 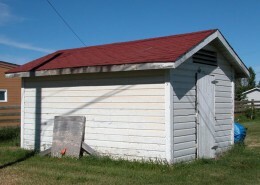 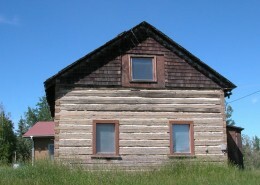 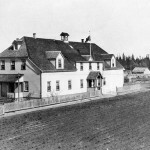 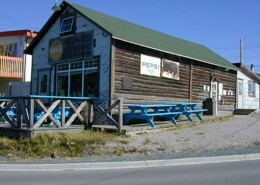 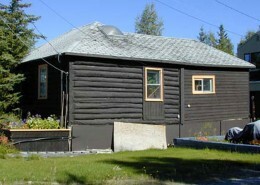 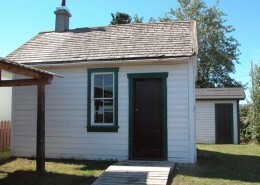 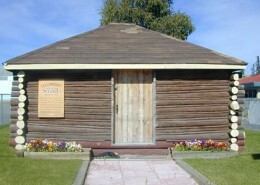 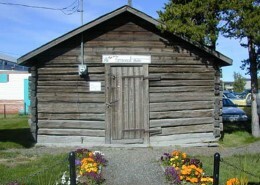 Fort McPherson was moved to its current location in 1848 and was the principal trading post in the Mackenzie Delta region for over 50 years. 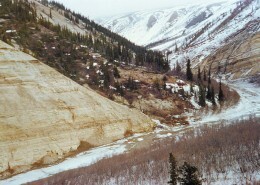 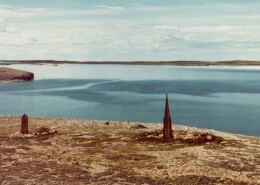 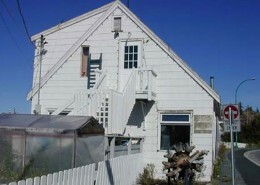 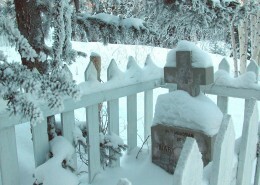 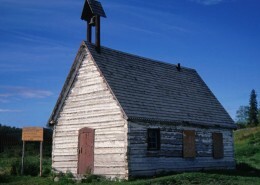 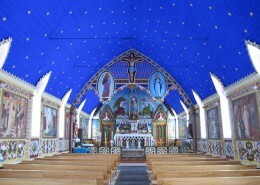 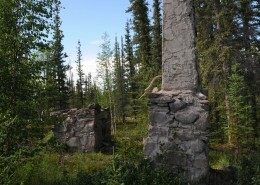 The settlement that grew around the fort became a centre of Roman Catholic and Anglican missionary activity after 1860, and the site of the Western Arctic’s first North West Mounted Police post in 1903. 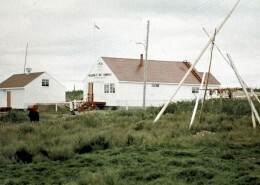 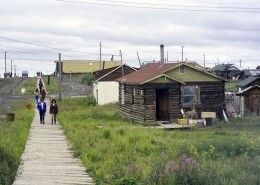 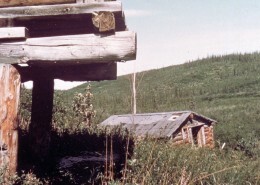 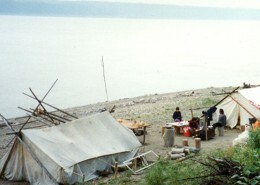 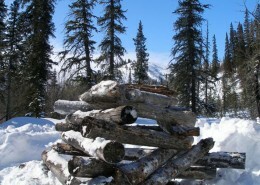 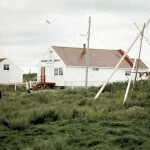 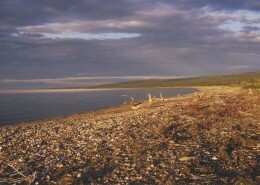 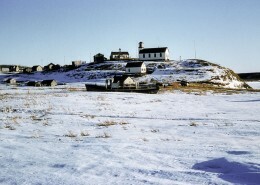 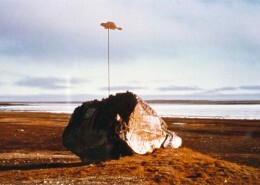 By the 1930s much of the fort’s former importance had passed to newer settlements such as Aklavik. 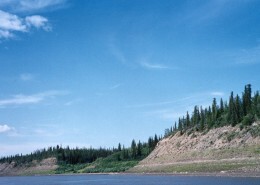 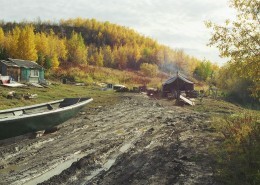 Fort McPherson is now the largest Gwich’in settlement in the Northwest Territories. 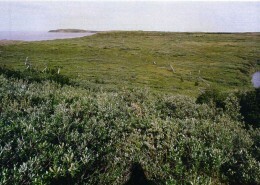 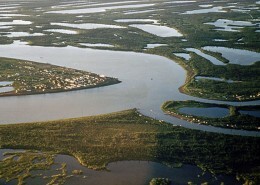 the surrounding viewscapes of the Mackenzie Delta and the Peel River. 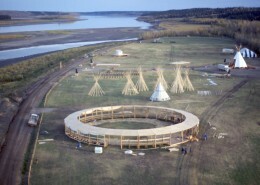 Quoted from Historic Sites and Monuments Board of Canada, Minutes, June 1975, December 2005.